Last week I became the owner of an WATCH. I had been debating whether or not to get one for some time, and the one thing that sealed the deal for me was it being able to track my activity and convert it to Weight Watchers Activity Points. Once I found out it did, I wanted to get one. Joshua made a deal with me saying if I could get a new job then I could order my watch (and being on Dave Ramsey’s program we could fit it into the budget). 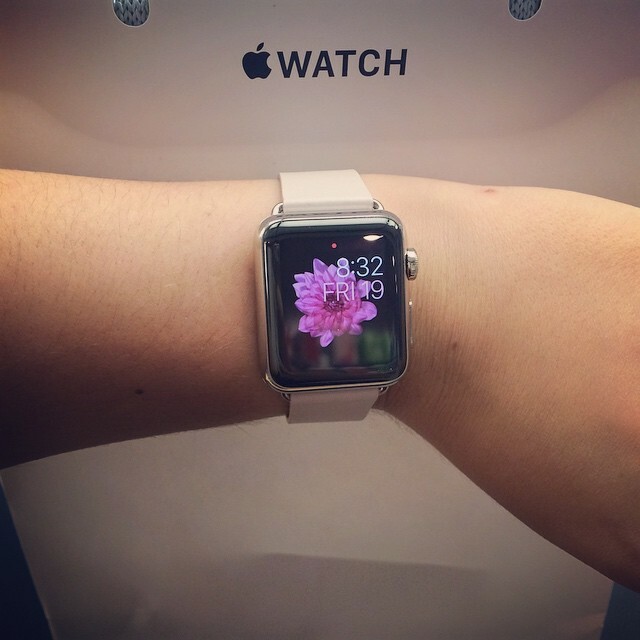 After my first week at Three29 I discovered you could now buy the watches in store (before it was online only), so we headed up to the Apple Store, and I became the proud owner of a 38mm Stainless Steel Case with Soft Pink Modern Buckle. I’m loving it so far, and I plan on blogging more about it soon. I wrapped up my second full week at Three29, and boy did it go fast! I have quite a few projects on my plate already. While I haven’t done any full-blown designing of web sites yet (I’m only two weeks in), I am getting into something that I’ve wanted to for awhile now and that is mobile app design. It got approved on Wednesday, so I’m in the process of designing the other interfaces. I also went to a really cool mixer Wednesday night with a couple of my coworkers. It was at the Coin-Op Game Room in Sacramento, and it’s basically an arcade with a fancy bar in the middle. In other words an arcade for adults. I really want to go back there with some friends! The mixer itself was pretty cool. I ran into a couple people I knew, entered a raffle, and ate some yummy pizza. I’m really happy to be working for a company that likes to go to these type of networking events. Looking forward to many more! I continued migrating content over to The Lovely Geek. With this current blog, I worked on a couple posts having to do with my Apple Watch which I plan on posting in the coming week along with another Beauty Bag post for June.